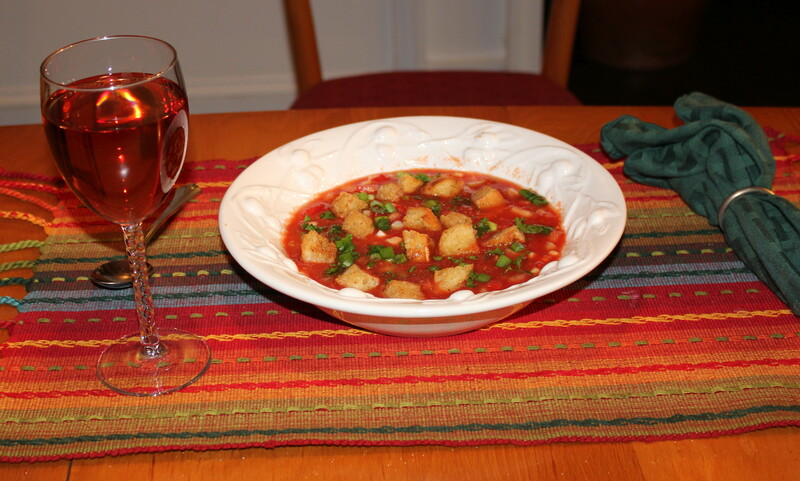 One of the best bowls of gazpacho I ever tasted was at a restaurant (can’t remember its name, unfortunately) in 2002 in St. Helena, California. Brad and I were on our honeymoon and decided after leaving Hawaii to spend a few days in Napa Valley and San Francisco before coming back home to Raleigh. The temperatures in Napa were in the high-90s to low-100s and a chilled bowl of gazpacho was just the ticket. 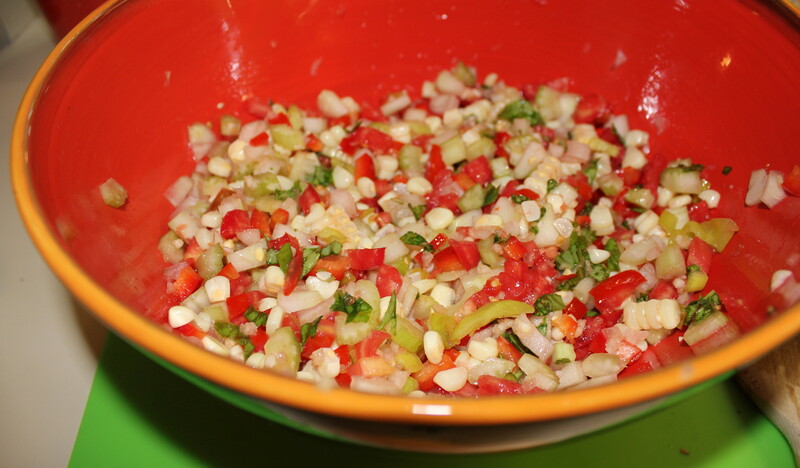 This one was fantastic, with nice chunks of tomato, celery, cucumber, onion, corn and other great ingredients. 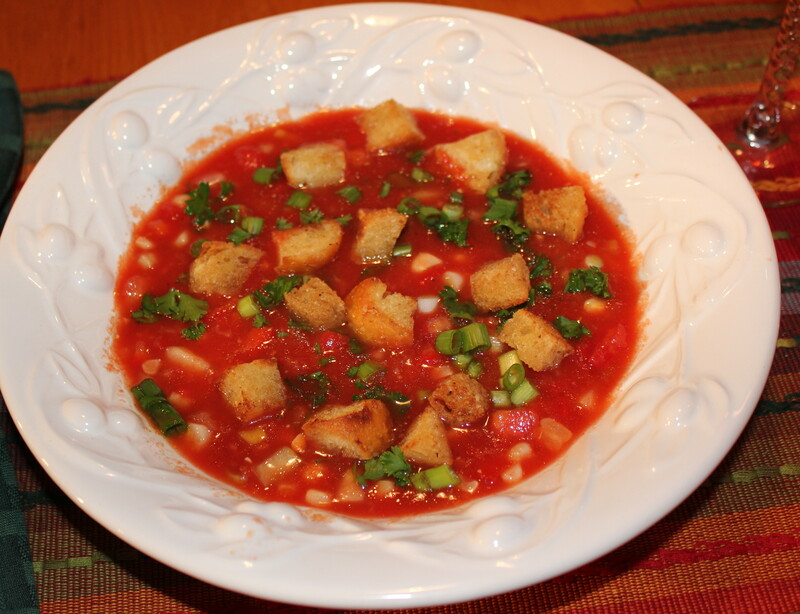 I’ve worked for years to recreate this wonderful gazpacho, and have come up with my own recipe that will make you come back for seconds! Go ahead – it’s low-calorie and good for you to boot! 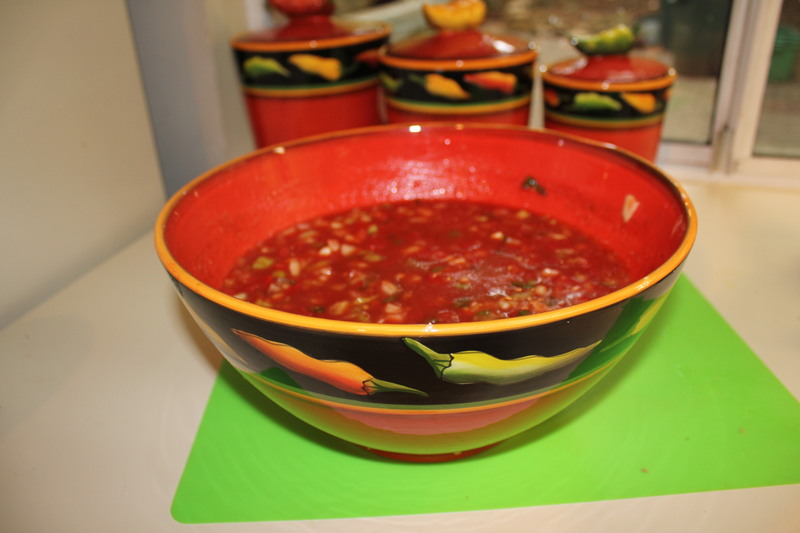 Now that veggies are in full season in Raleigh, especially the tomatoes that make or break this soup, I visited the Farmer’s Market to stock up on what I needed to make this cool and hearty gazpacho. It does take time to chop all of the vegetables (I refuse to use my food processor for this), but it is well worth the effort at the end. 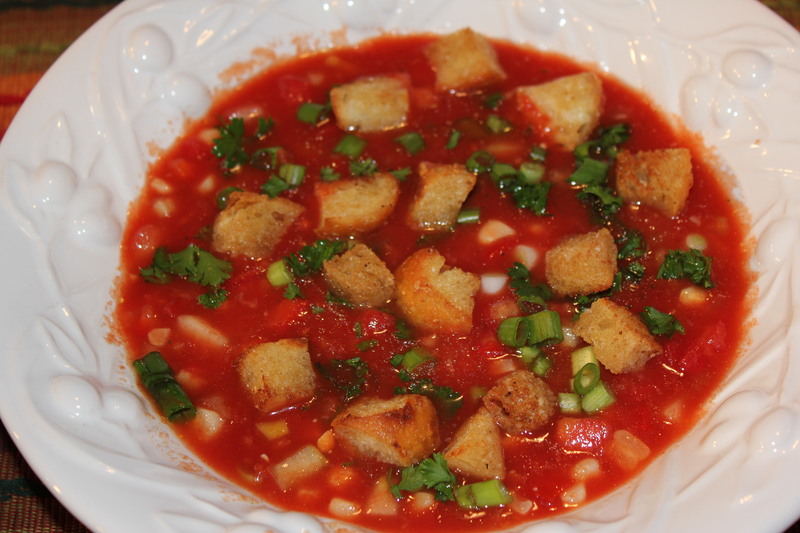 This is one of my all-time favorite soups ever! 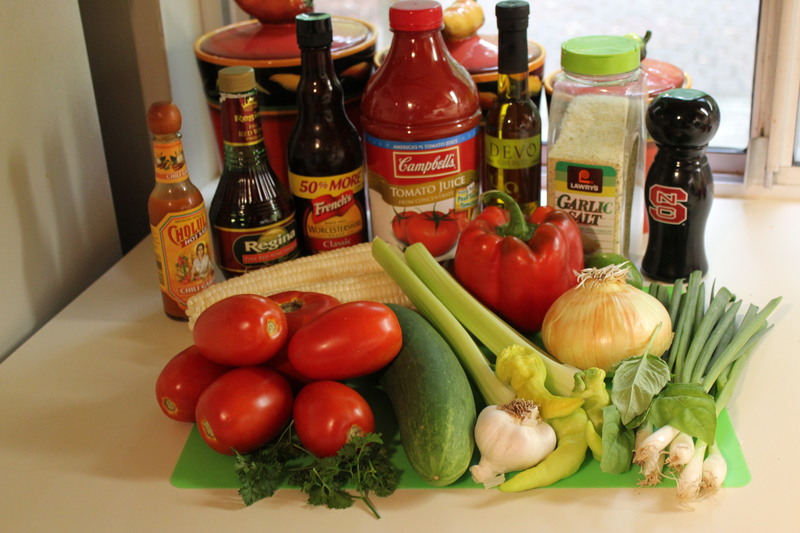 Add the tomato juice and the rest of the ingredients, mix together well. Chill for several hours so that the flavors have time to develop and and meld together. Once you are ready to serve, add your favorite garnishes. Serve immediately – the colder it is, the better. This keeps in the refrigerator for several days in a non-reactive container. These are so easy to make and much better than any of the prepackaged ones. 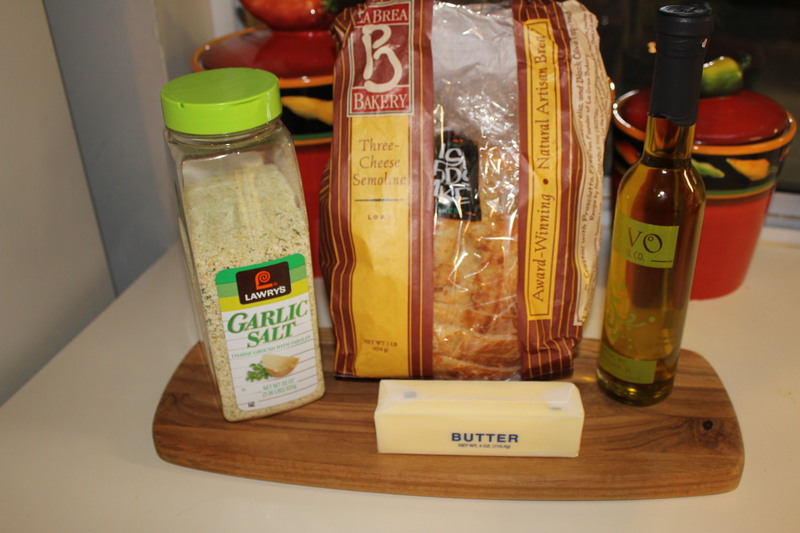 And this recipe has just four simple ingredients. 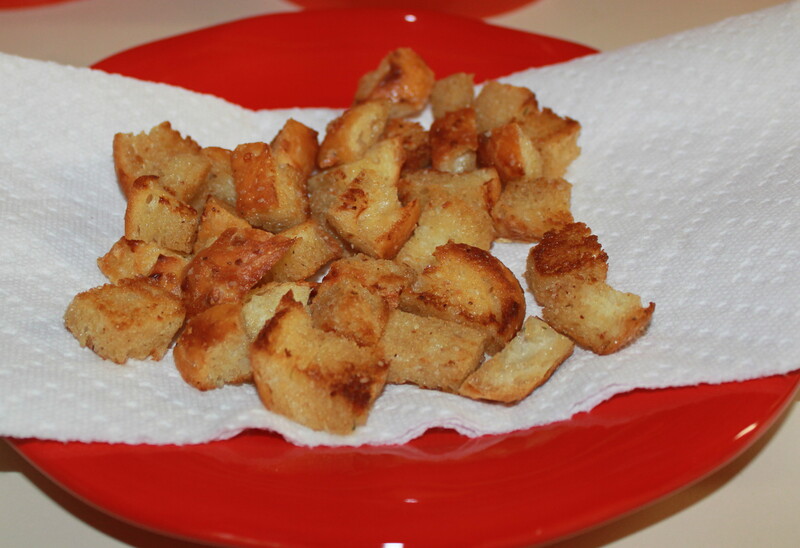 Even the kids prefer these fresh croutons over the store-bought ones! Melt the butter over medium heat in a medium pan. 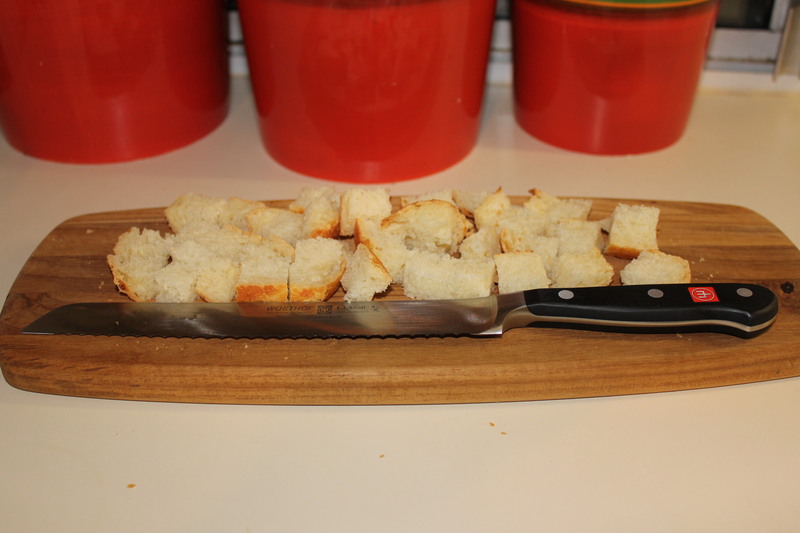 Cut bread into small cubes, and add to the melted butter. Drizzle with the olive oil, and add garlic salt to taste. 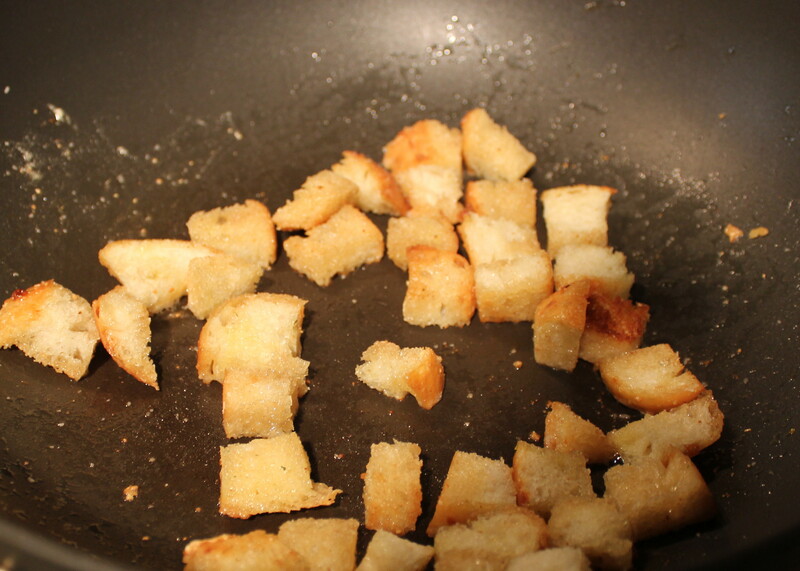 Brown the bread cubes on all sides and then drain them on a paper towel to absorb some of the butter and oil. These cook up in no time and are great in salads as well! This entry was posted in Low fat, Recipes, Soups and Such, Vegetables/Vegetarian/Vegan and tagged chilled soup recipe, chunky gazpacho recipes, crouton recipes, eat drink and be merry, gazpacho, gazpacho Kel's Cafe, gazpacho recipes, homemade croutons, Kel's cafe, kel's cafe of all things food, kel's cafe recipes, Kelley Chisholm blog, Kelley Chisholm recipes, Raleigh food blog, vegetarian. Bookmark the permalink. 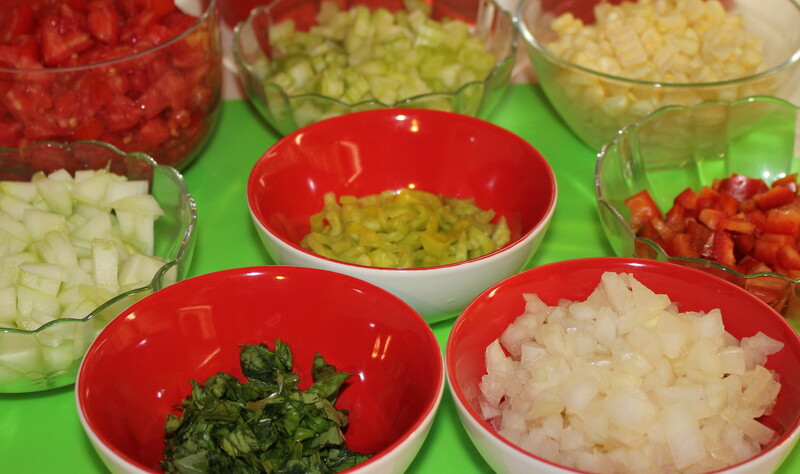 5 Responses to Got Gazpacho? I don’t want pureed gazpacho (geezealoo, I’m only 50), chunks are good. I will use a food processor though!